We offer fast service and very affordable and reasonable rates. We provide you the best virus remove services, as well as detection and most importantly prevention for your computers. Our computer technicians have been trained to troubleshoot and fix some of the most difficult virus infections. Whether you own a Dell, Toshiba Laptop, Acer, Sony, Gateway, Compaq, Emachine, Fujitsu, HP or an IBM computer with either Windows 98, XP, Vista and Windows 7 operating system, viruses know of no boundaries and can infect them all. Our Goal is to ensure 100% customer satisfaction – we want to ensure that your computer works the way it was designed to. We want to help you to understand today's changing landscape and show how you can arm yourself from the negative sides of technology and help you enhance your personal and business productivity. Scan hard drives for all forms of Malware. Remove Trojan horses and Rootkits. Delete viruses and repair infected system files. Want to know more, read on. Malware, which is short for Malicious Software, is a computer program or a piece of software that is designed to infect or infiltrate a computer system without the user’s knowledge. The term encompasses all forms of hostile, intrusive or annoying programs designed for computing devices. 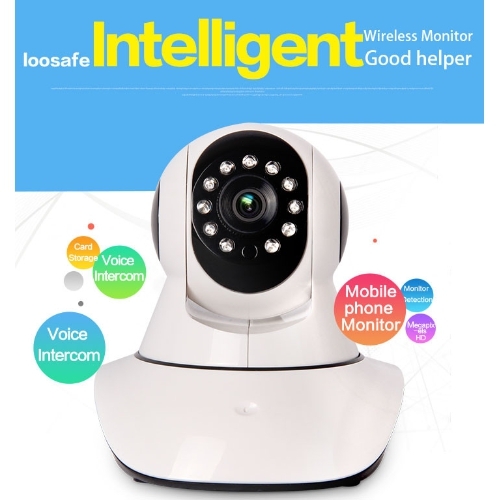 Generally speaking, anything based upon a computer system can be at risk including such things as a cell phone and other mobile computing devices. Why should I care about a computer virus? 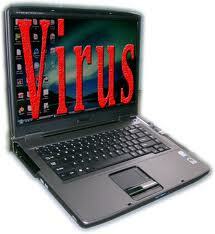 Viruses have been around for a long time, dating back to the early days of Unix, Apple and DOS based systems. One of the earliest MS-DOS viruses was called the “Stone Virus” which was merely written to display a message on a computer upon booting stating that the computer had been “stoned”. It was a very simple programming code and very easy to remove but it was the start of things to come with the emergence of the digital age. As hackers, criminals, and general users gained more insight into scripts, macros and freely circulated malicious software and with the popularity of the internet, the playing field for these individuals grew on which to practice their ill intent. Today, there over 100,000 different types of viruses and this number increases daily as new variations are released around the world. Along with the wide spread reach, the complexity of these viruses and other malware has grown to the point that sometimes their infection can be very difficult to detect and remove. The word computer virus is generally used to describe the manner in which the infected code spreads. Typically, a virus will infect executable files on a computer system (i.e. exe, com, dll, etc.). Each time the computer boots or the infected program is run by either clicking on a malicious email attachment or visiting a questionable website, the virus will attempt to infect other files. Some viruses carry a “payload” which once activated can be destructive or perform other actions on a computer. While similar to a virus, a distinction is made in the classification of a worm. A worm is a piece of computer code or program that once activated, will attempt to spread itself by discovering other connected computers and systems in a network. It too may carry a “payload” that is destructive in nature. A worm will attempt to exploit security holes in operating systems and applications in order to spread itself. The main difference between a virus and a worm is that a virus requires user intervention to spread, whereas, the worm spreads itself automatically. Either way, they are something that you want to avoid and if infected, be removed quickly as possible. A term taken from early Greek history, described a method used to hide a fighters inside a wooden horse that was presented to the Trojans as a gift. In the computer world, it is any piece of program that appears legitimate in nature but once downloaded and installed, will actually contain malicious payload. The payload can be a worm, virus, spyware or a routine to delete a hard drive. The programmers attempt to play on the innocent users by making false claims about optimizing Windows, making the system run faster or even disguise it as an email attachment. Case in point, the I Love You virus. To avoid detection and removal, many attackers use a technique called Rootkits. Basically it is a set of software tools that get installed on the infected computer which will then monitor the unwanted program. To avoid detection by the installed antivirus programs running in the memory, the Rootkits may randomly change the name of the offending program. Or if detected and removed, it automatically get regenerated by the Rootkit monitor tools. 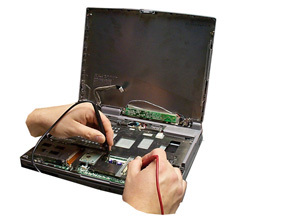 Rootkits can be very difficult to remove without the proper tools. A backdoor is a method of gaining unauthorized access to a part of a program, computer system or a network. Usually, hackers will exploit holes in software design or weak passwords and once entry is gained, they will often leave backdoors open to which they can connect to at a later time to do the damage. It is hard to believe that people would be producing programs that once installed on your computer, will gather information about the user, show pop up ads on the screen with some being even pornographic in nature, changing your home page without your consent. The creator may even demand money. This is your typically “Spyware”, a piece of program that user installed knowingly but probably disguised as a Trojan horse. Aside from the already listed actions, another tell tale sign of spyware infection is performance decrease of the affected computer system. An infected computer can be used to perform DoS (Denial of Service) attacks against other computers in the world, i.e. NASA, Government, Ebay, etc. This is called a Zombie, while one infected computer may not seem like much, hundreds and even thousands computers taking instructions from a hacker and doing the same thing at once can bring down even the largest systems in the world. A hacker can install a Keylogger program and monitor every keystroke that you type on your keyboard; this can include your credit card numbers, passwords, and other personal information. Some forms of infection can randomly send out emails from the infected computer to people in the contact list. The outcome can be very embarrassing to the individual or the organization. An infected computer will run very poorly which in turn can affect the productivity of employees or just cause unnecessary stress for the user. Some people falsely believe their systems are old and are tempted to purchase a new one without even realizing the cause. Computer viruses for most part behave very similarly to the human body viruses. Because we rely on it to work properly day in day out, treatment and prevention are necessary.